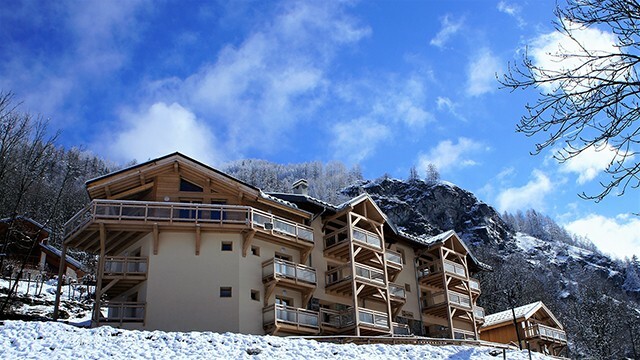 New : Chalet les Amis. 6 big apartment from 106 to 170sqm for 8 to 14 peoples. Big living room from 31 to 59sqm with big balcony and terrace. Beautiful view on the mountain : all apartment have south/west-south view. Each room have a balcony. Mountain spirit : light, decoration. Spacious kitchen and bath room, full equipped, big flat screen TV, Free Wifi. Services : welcome on place, bedlinen including, sauna. Private schuttle. Between Peisey Village (1.5km, all shops) and Nancroix (departure of walk). 3 km from the nordic area and Vanoise National park. 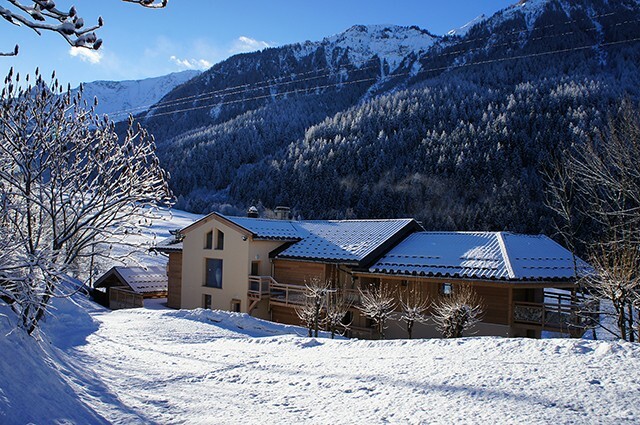 3 km from the ski resort : Peisey vallandry : 420 km of slopes. In winter : Private shuttle from the chalet and the slopes. There is also public free shuttle. Access to Sauna and Jacuzzi (opening in novembre 20106. 56sqm : sauna 7 places. Breakfact or dinner on booking only for your arriving. 4 bedroom duplex apartment of 111smq for 8/10 people max. All bedroom have shower + toilet. Living room of 31sqm with a sofa bed, full confort, full equipped with a big balcony. 2 sofa whose 1 can be converted. Ground floor : 1 bedroom with a double bed : 160 x 200cm. Level -1 : 2 bedroom with a double bed : 160 x 200 cm. 1 bedroom with bunk beds : 90 x 200cm. 43sqm of living room, full confort, full equipped with 2 south terrace, 2 sofa whose 1 can be converted. Level +1 : Mezzanine open on the living room with a sofa bed. Ground floor : 1 double bedroom : 160 x 200 cm. Level -1 : 2 double bedroom : 160 x 200 cm. 1 bedroom with 4 sleeps in bunks bed. 3 bedrooms duplex apartment of 169sqm including 24sqm of mezzanine for 10/14 people. All bedroom have a shower and toilet + mezzanine. 50 sqm of living room, full equiped, full confort with a balcony-terrace. 2 sofa whose 1 can be converted. Level + 1 : Open mezzanine with a sofa bed. Level -1 : 2 bedroom with a double bed, 1 bedroom upstair with a double bed and bunks beds. 6 bedrooms triplex apartment of 170sqm for 12/14 people max. All bedroom have a shower and toilet. Big living room of 180° of 53sqm, full confort, full equipped with a balcony-terrace. 2 sofa bed whose 1 who can be converted. 6 bedroom on 2 stairs : 5 double bedroom, 1 bedroom with 4 bunks beds. 3 bedrooms duplex apartment of 118sqm for 8/10 people, all equipped of shower and toilet. Living room of 58sqm, full confort, full equipped with a big terrace. 2 sofa bed whose 1 can be converted. 3 bedrooms on the 1st floor : 2 double bedroom, 1 double bedroom and a bunk beds. 3 bedrooms duplex apartment of 106sqm for 8/10 people max all equipped with a shower and toilet. 1 mezzanine. Living room of 51sqm, full confort, full equipped with a big terrace. 3 bedrooms on the 1st floor : 2 double bedroom, 1 bedroom with 4 bunks beds. Balance to be paid one month before your arrival. Holiday tax : 2.2€/night/over 18 year. Arriving 5:00 p.m./ Departure 9:00 a.m.